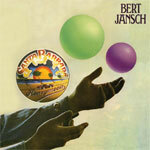 I’ll kick this blog off with some great news, though I’m certainly not the first to break it… the amazing Bert Jansch, a songwriter and guitar player of the highest order, and something of a living legend, is having three of his mid 70’s albums reissued by Drag City. The albums in question? L.A. Turnaround, Santa Barbara Honeymoon, and A Rare Conundrum. Of the three albums in question, at least one is an absolute classic, L.A. Turnaround. It was produced by the inimitable Michael Nesmith (yup, that Michael Nesmith!) and also features the amazing pedal steel of Red Rhodes, who absolutely tore it up on those Nesmith solo albums from the early 70’s. 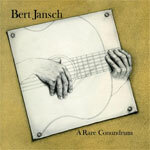 Bert’s playing and singing are wonderful, and the accompaniment is understated and quite lovely. It also features one of my all-time favorite Bert songs, “One For Jo”. The CDs are available now, and the vinyl is coming in October. Look for some in-depth reviews when the vinyl drops! 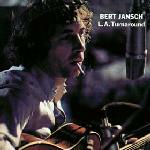 This entry was posted in News and tagged A Rare Conundrum, Bert Jansch, British, Drag City, Fingerstyle, Folk, Guitar, L.A. Turnaround, Santa Barbara Honeymoon, Scottish, Vinyl on August 3, 2009 by Work & Worry.